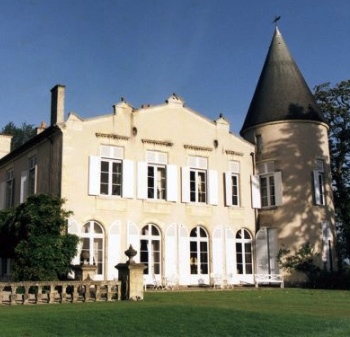 August saw the Liv-ex Fine Wine 100 fall by more than 4% as Lafite’s prices slide. This is its steepest monthly decline since the dark days of October 2008, when the index fell by 15% following the shock demise of Lehman Brothers. Meanwhile, the financial markets are offering little respite, with equities in turmoil and fears of a double-dip recession rising by the day. And it is Lafite – the market’s main driver over the past two years – that is leading the market lower. After more than two years of almost uninterrupted price rises for fine wines, it seems that traders are preparing for a correction. Financial market orthodoxy states that those equities that are the top performers in the period running up to a correction are unlikely to be the major movers once again when the market returns to growth. Think technology and telecommunication stocks in the late ‘90s and finance and property in the mid to late ‘00s. Reliable and transparent trading data for fine wine has only been available since the millennium. As such, we only have one “event” (the aforementioned latter half of 2008) on which to test this hypothesis on the fine wine market. Nevertheless, the results are clear. Using the wines in the Liv-ex Fine Wine Investables Index as our set, we find that the five best-performing wines in the 36 months running up to the high point of the market (July 2008) were: Lafite Rothschild (up 240%, on average, across all vintages), Ausone (194%), Latour (173%), Mission Haut Brion (166%) and Margaux (136%). The ferocity of the subsequent market fall was relatively indiscriminate, with all of these wines seeing price falls of around 20% by year end – in line with the market average. Yet it is their performance during the market recovery that is more illuminating. If we fast forward 12 months to the end of 2009 then we find that all but Lafite (which once again tops the charts) had increased in price at well below the market average of 18%. Ausone shows the most dramatic switch, with an average price rise of just 6% between December 2008 and December 2009. But what of Lafite, which sits at the top of both performance charts? If we drill a little deeper into the data, the reasons behind its counterintuitive behaviour become apparent. In the 36 months to July 2008, the top-performing vintages were 2000, 1996, 1982, 2003 and (for the 18 months previous) 2005. During the recovery period the top-performing Lafite vintages were the off-prime years of 1999, 2002, 2001 and 1994, which all increased in price at more than four times the market average. In contrast, the worst performers were 2003, 2005, 1982 and 1996, which all increased in price at below, or only just above, the average. Of course, we are still some way from a real market correction. A strong performance in the final quarter of 2011 may show that the recent downturn is little more than a blip. But if we do experience a sobering end to the year, then the wines that would logically be least likely to lead the subsequent market recovery are off-vintage first growths (particularly the 1999s, 2002s and 2007s) and their second wines (particularly Carruades de Lafite and Pavillon Rouge). Duhart Milon is also worth mentioning. Indeed, the events of August point to a market already heading in this direction. What is much harder to predict, however, is which wines will become the market leaders following a potential downturn. Much, of course, will depend on China, which is showing signs that it is morphing from a brand-led market into one increasingly concerned with quality and perceived value. The second rank of Bordeaux wines, in particular, are now gaining momentum. Are these the likeliest candidates to emerge the strongest? This article was written by Liv-ex and appeared in the October edition of the drinks business.